There’s a growing global Lesbian, Gay, Bisexual and Transgender (LGBT+) population with more disposable income looking for new ways to spend. 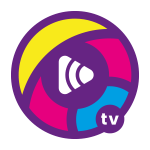 Pride World Media is a global internet and FM platform broadcasting out and proud around the world. 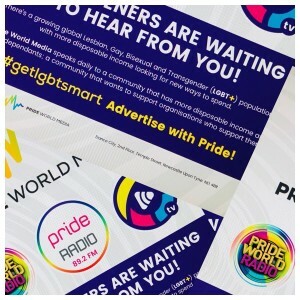 We speak to over 800,000 regular online listeners in 125 countries tuned in to Pride World Radio and, through our FM partnership with Pride Community Network, we now reach a daily audience of 726,000 listeners in the Newcastle, Gateshead, Sunderland, North & South Tyneside and surrounding areas. 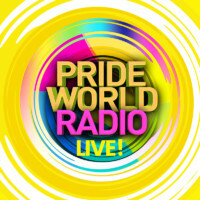 We broadcast over two internet stations; Pride World Radio and PWR Decades and now on FM in the North East of England with Pride Radio 89.2 FM. 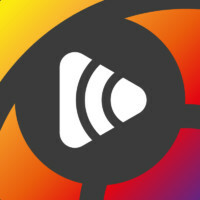 Listeners can tune in through a wide range of platforms including 89.2 FM, Tunein Radio, Apple TV, Home Virtual Assistants and through the Pride World Media app. Our broadcasting is a mix of live and pre-recorded shows with great music, lively conversation and listener interaction. 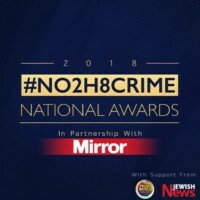 We hold debates, welcome guest speakers, commemorate important dates in the calendar, host outdoor broadcasts at local and international pride events and stream a range of health and well-being messages. Though aimed at the community, it’s all about great music and great conversation and our listeners are as diverse as our programming. 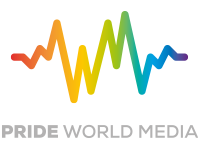 Pride World Media is a proud broadcaster who supports & works closely with our listeners and the wider community. We speak daily to an audience that has more disposable income and less dependants; a community that wants to support organisations who support them. 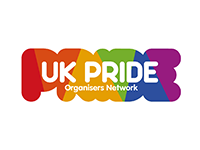 Put Pride in your organisation and engage with the world’s LGBT+ community.